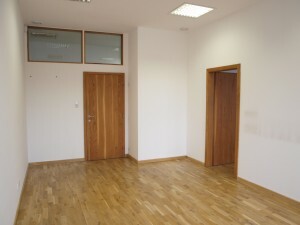 We offer to lease office space with a total size of 41 m2, located on the 4th floor of an office building. There are two offices with a single entry, separated by a door. The offices are equipped with a security system connected to its own security, oak parquet flooring, air conditioning, indoor and outdoor blinds, phones and PC connections (structured network). Available from 1 March 2013.